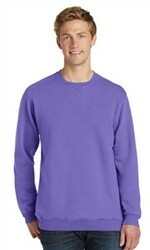 Keep it simple with this standard Greek Crew Neck. Represent your Fraternity or Sorority with this custom crew neck sweatshirt. Comes standard with 4” twill letters in the color and thread of your choice. This high quality sweatshirt is guaranteed to last so you can wear your chapter’s Greek Letters with pride for years to come.